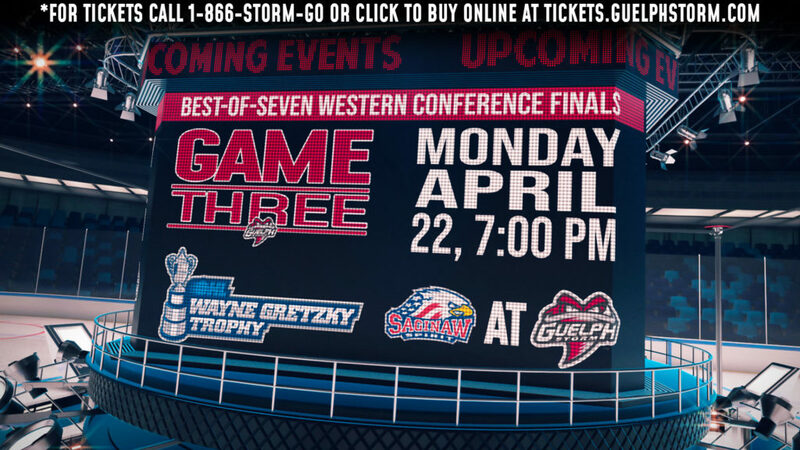 The Guelph Storm and the London Knights will play game 7 of the Western Conference Semi-Finals on Tuesday night at 7:00pm in London. 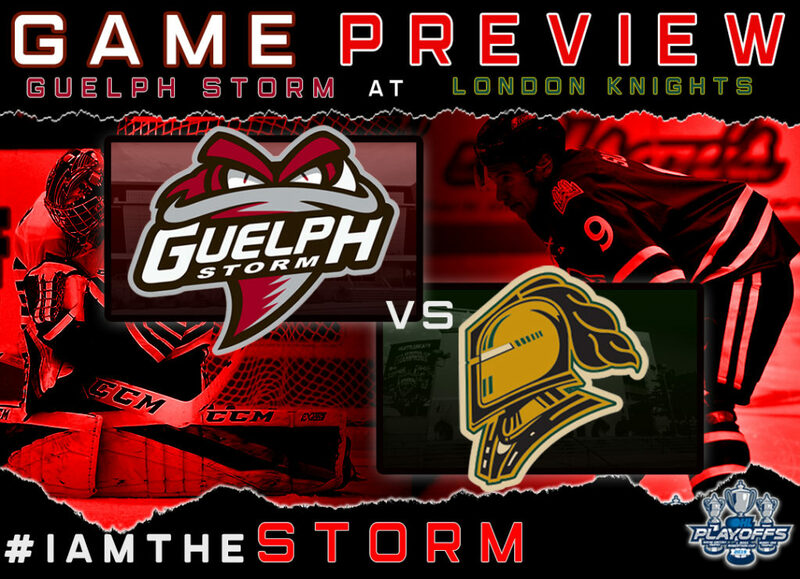 The London Knights won game one by a close score of 3-2, before they won game two and three by a combined score of 14 – 4 to take a commanding 3-0 series lead against the Guelph Storm. The Storm were able to take game four by a close score of 4-3, before they returned to London to win a huge road game 3-1 and forcing a game six back at home. In game six, the Storm were able to come from behind on multiple occasions to take the lead, and score an empty netter to win the game and force a due or die game 7 in London. Heading into game seven on Tuesday, the London Knights have scored 24 goals including 8 on the Power Play, while the Guelph Storm have scored 18 goals including 3 Power Play goals. 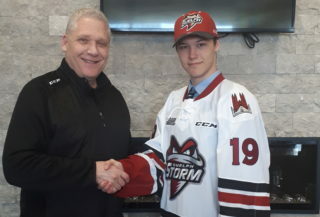 Nick Suzuki was acquired by the Guelph Storm back in January, and collected 49 points in 29 regular season games including 37 assists in those games. 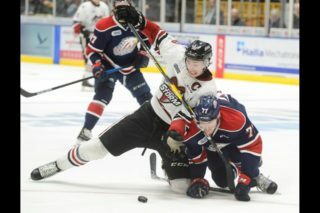 During the opening round, Nick scored 4 goals and 3 assists in the opening round sweep against the Kitchener Rangers. 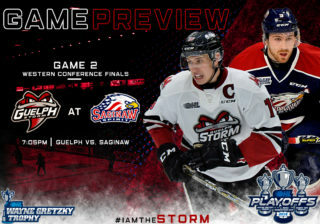 In the Western Conference Semi-Finals, Suzuki has scored 5 goals and 5 assists heading into game seven, including 8 points in the three Guelph Storm wins. Paul Cotter was brought in as a free agent earlier this season, and collected 26 points in 48 regular season games. Paul was drafted by the Vegas Golden Knights in the 4th round of the 2018 NHL draft, but has been held pointless in 10 playoff games thus far for the Knights.